Which office is best for you? Considering a career in real estate? Maybe you have been thinking about it for a while, or perhaps a recent life event sparked the idea. 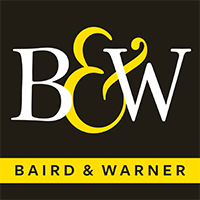 Either way, at Baird & Warner Lincoln Park we are in the business of sharing knowledge, and created this forum for you to understand what life is really like as a real estate professional. Our goal is to help you find answers to what a career in real estate would look like for you through the realistic, relevant and real-time content we’re sharing here. We’ve done our best to peel back the curtain and offer you some true insight into finding the best place to launch your real estate career. Scroll down and check out the virtual tour of our Lincoln Park Office, and read on to learn more about our unique approach to training, support, mentorship and coaching for both new and experienced agents who join our team. Named one of Chicago’s Top Workplaces 7 years running! 2012, 2013, 2014, 2015, 2016, 2017 and 2018. And see for yourself what people are saying about Baird & Warner on Glassdoor.